The Tudor Pelagus is, like the Heritage Black Bay, a dive watch loaded with vintage style elements and many references to vintage Tudor Submariner models. 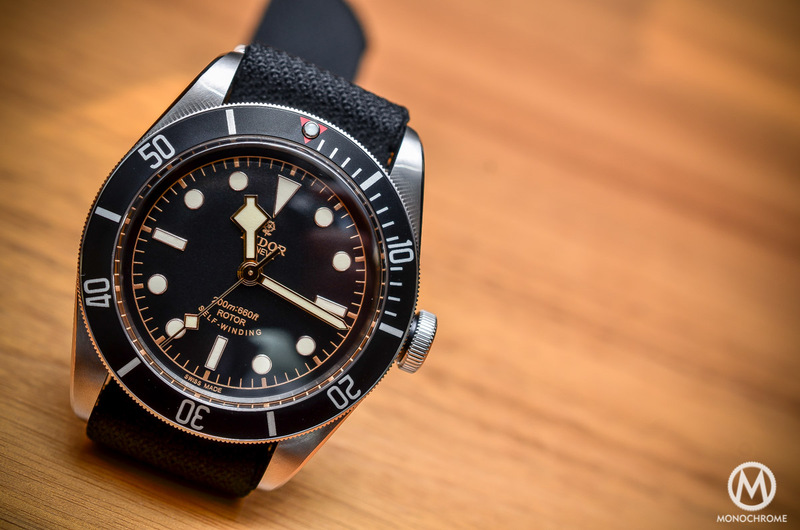 The Pelagos is also the first Tudor with a helium/gas escape valve. 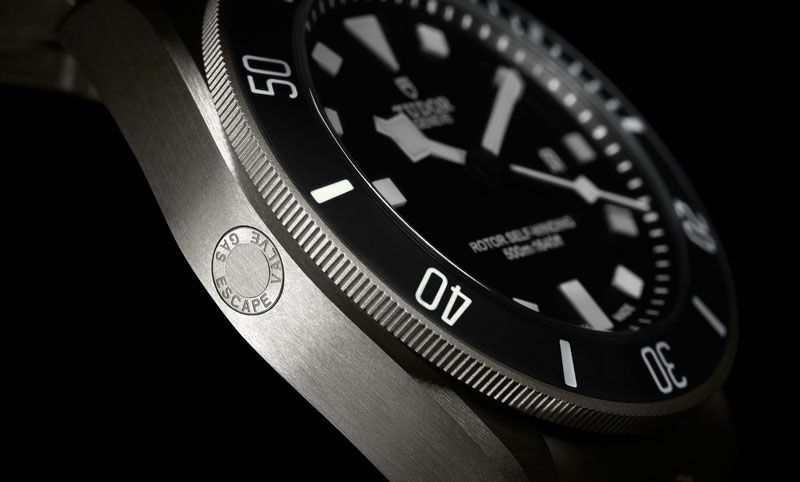 Is this maybe Tudor’s answer to the Rolex Sea-Dweller? Compared to the Heritage Black Bay, with a depth rating of 200 meter (like the vintage Submariners), the Pelagos is a more serious dive watch with its depth rating of 500 meters (or 1640 feet). No need to increase the depth rating more, because ain’t nobody really going that deep…. Well, except maybe James Cameron, who dived to a depth of 10.898 meters (35,756 feet). 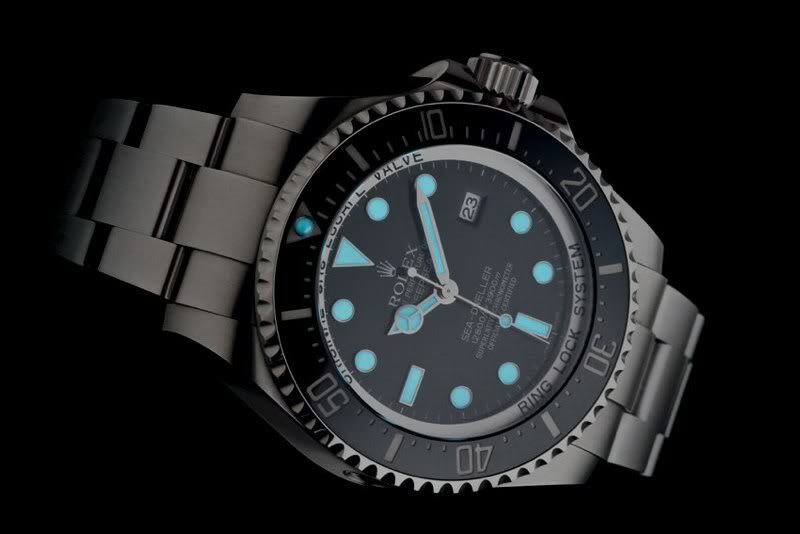 So the depth rating is less than that of a Rolex Sea-Dweller Deepsea, which is 3,900 meters. And it does not have an in-house, like Rolex. It uses the well-known and über-reliable ETA caliber 2824. The Tudor has much more tool-watch looks than the Rolex SDDS, something which is emphasized by the satin finished titanium case and bracelet and strong luminiscent material on the hour markers and hands. An original double-bevelled flange around the dial incorporates the triangular, rectangular and square applied hour marker. The side of the bezel shows a very fine rib that provides good grip, for turning the uni-directional bezel. The bezel insert is made of ceramic, a material that is very resistant to wear. By the way, the numerals in the matt black ceramic disc has are luminescent! The case dimension, 42 mm in diameter, is another factor that adds to these rugged looks. I was pleased to see they didn’t go ‘overboard’ by increased the case size to 45+ mm. In the left side of the case is a helium escape valve, which is engraved with the words gas escape valve. 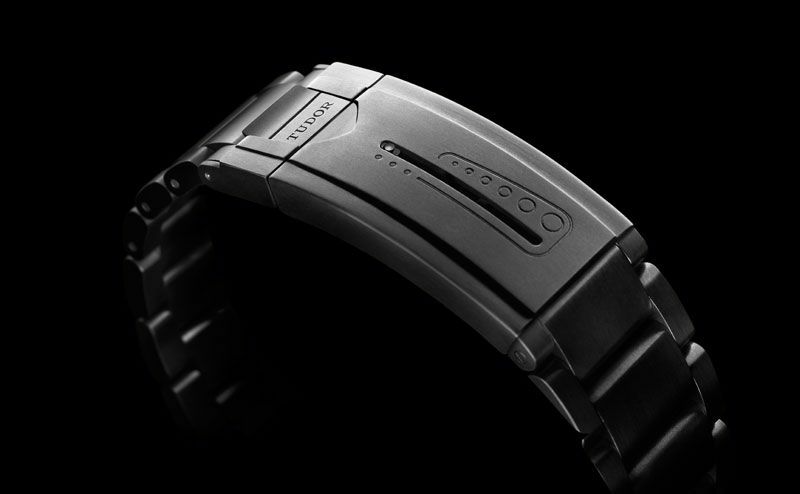 The Pelagos comes ona titanium bracelet with a folding steel clasp fitted with a unique spring-loaded self-adjusting mechanism. This simply means the bracelet can be fine-adjusted and this happens by means of a spring. Looks like a good solution, as long as the spring keeps the correct tension. Thanks to this remarkable, technically accomplished system, the bracelet adjusts during diving, contracting in deep water when the diving suit is compressed and its volume is reduced, and, conversely, expanding as the pressure eases during the ascent. The Tudor Pelagos also comes with an additional rubber strap with an extension system enabling it to be worn easily over a diving suit. Now let’s take a look at the design elements. In the beginning of this post I mentioned the design elements that refer to vintage Tudor dive watches. 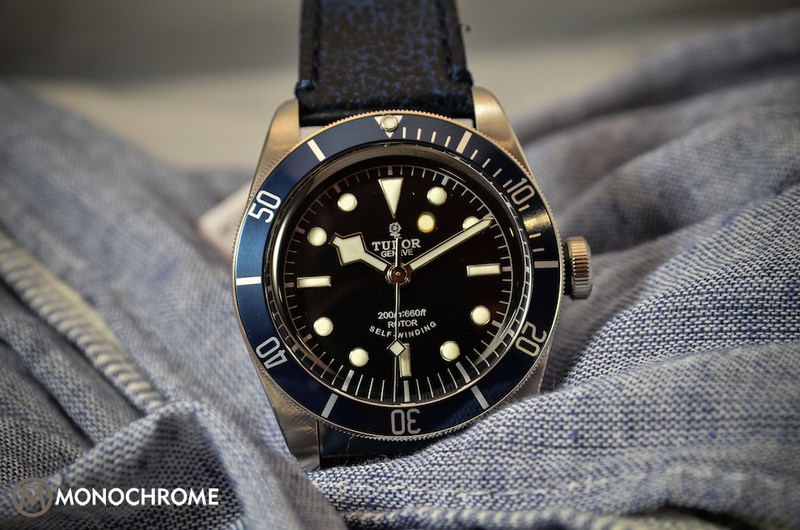 And like with the Heritage Black Bay, Tudor mixes design elements from several vintage models. The crown guards are pointy. This feature could be found on early Tudor Submariners and today Submariners with pointy crown guards (both from Tudor and Rolex) are highly sought-after. These pointy crown guards make a good reference to very early examples of Tudor Submariners. 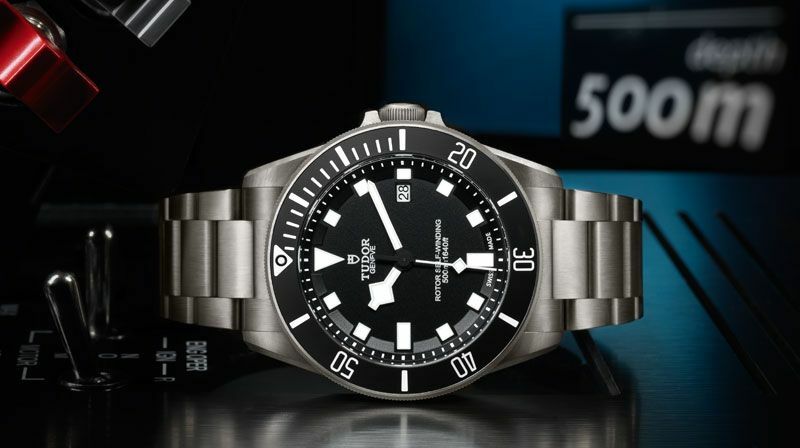 The other main reference to older Tudor dive watches, are the typical hour markers and hands. These design elements refer to later models of the Tudor Submariner, also nicknamed after their typical shaped hands. The so-called ‘Snowflake’ Submariner (reference 7016 and 7021) were released in the late 1960’s. The the pointy crown guards date back to the early 1960’s model reference 7928, which was the first Tudor Submariner with crown guards. 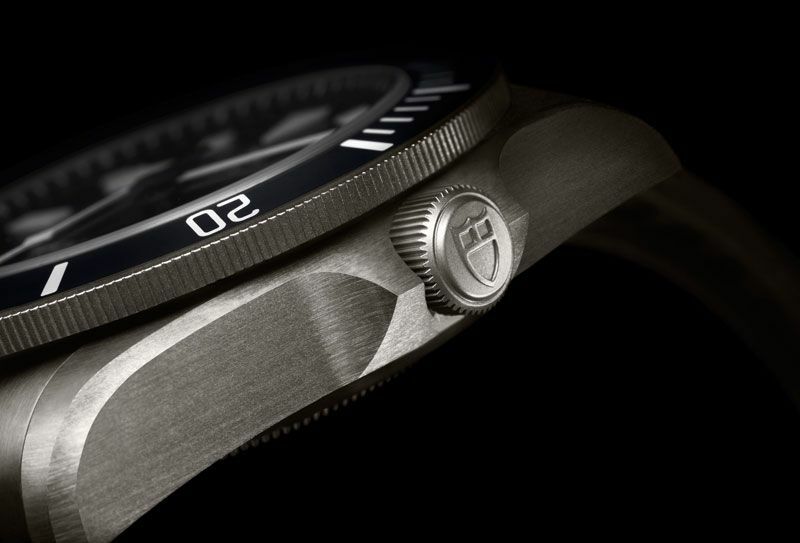 Although it’s again a mix of design elements, the Tudor Pelagos looks like a great dive watch / tool-watch. Because of the titanium case and bracelet it’s not as heavy as a steel watch and I also think the size of 42 mm will further improve wearability. The new self-adjusting clasp sounds very interesting and I’d love to get some hands-on experience with that. 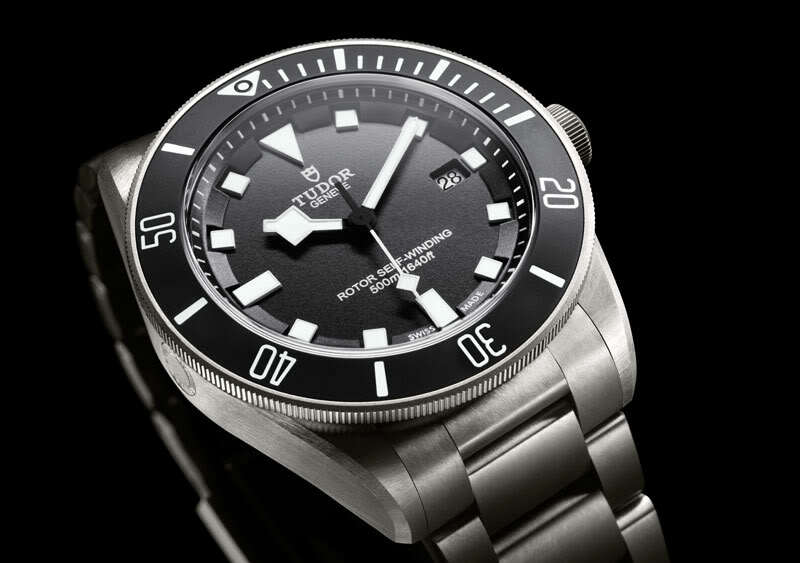 FINAL WORD: If the Pelagos is Tudor’s (long awaited) answer to the Rolex Sea-Dweller, we will probably never know. But to me it absolutely is exactly that. Of course there are several obvisous diffrences: it’s much more tool-watch and less polished, it doesn’t feature an in-house movement and its depth rating doesn’t come close to that of the newest Sea-Dweller, the Rolex Sea-Dweller Deepsea. Tudor Submariner have always been more tool-watch than their Rolex siblings. So putting it all together, I think the Pelagos is a perfect Tudor variant of the Sea-Dweller and it’s available for an excellent price. 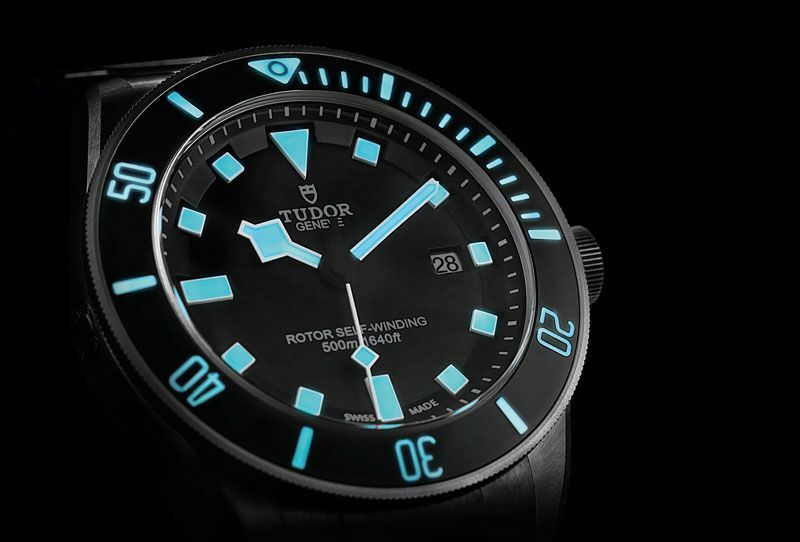 The Tudor Pelagos is priced very reasonble at CHF 3950 (incl. TAX). 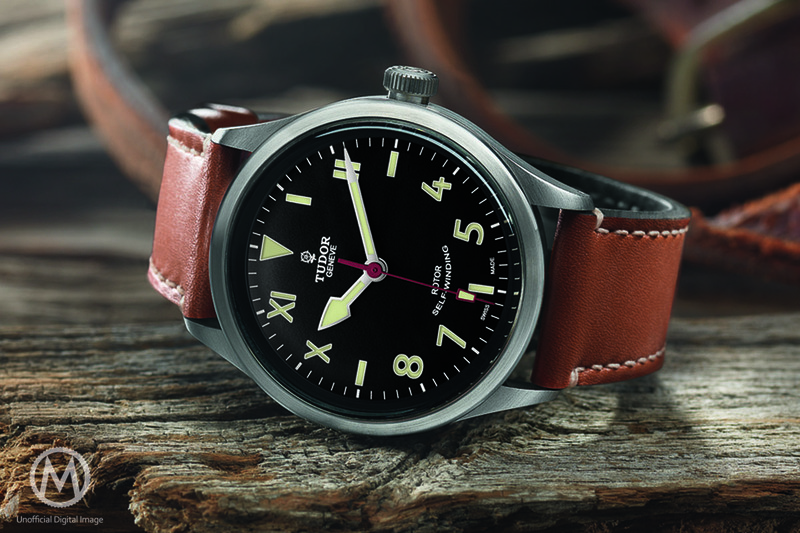 Please visit the Tudor website for more information about the watches and availability. Thanks for this review, it has helped me finalise my decision to purchase this watch. Many of the refind differences of the Tudor Pelagos to the Rolex Submariner/Sea-dweller DS definitely ‘float my boat’. I think one of the main attractions to the piece is cost! 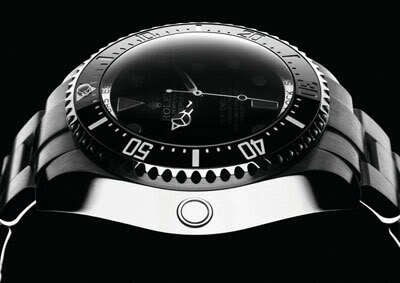 Submariner watches haven’t been close to this price for 10years! So what is that “excellent price”? Don’t you think your reader will want to know? Why leave out one of the most important details from your review? No excuses, now!